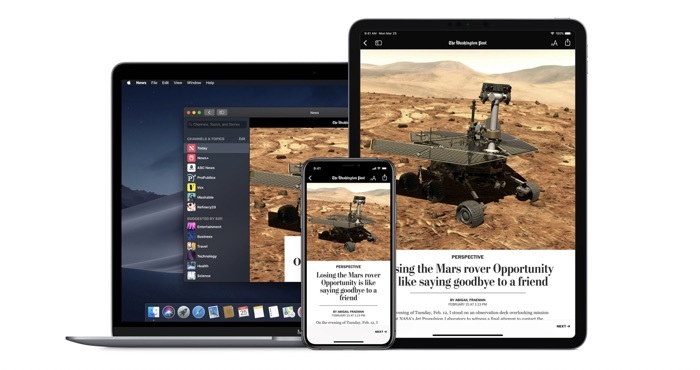 Apple’s latest offering is News+, which brings a bunch of new content to the built-in News app on iPhone, iPad, and Mac. For avid news readers, a subscription to News+ gives you unlimited access to over 300 magazines, plus the latest news from the Wall Street Journal and the Los Angeles Times. At $9.99 per month, it costs around what you could expect to pay for a single digital newspaper subscription — except instead of being locked into one publication, you can read hundreds. If you want to keep up with the latest news and magazines, it’s a good value — and it’s an even better value with family sharing, which lets you share access with up to five other family member for that same $9.99 price tag. But with this much to read, it can be tough to find what you’re looking for. These six tips will help you make the most of your News+ subscription. 1. Where is Apple News+? The first snag to accessing News+ is finding it. It’s in the News app that’s already on your iPhone, iPad or Mac, but you’ll need to upgrade to the latest OS before News+ shows up. On iOS, open Settings > General > Software Update to be sure you’re running iOS 12.2. On MacOS, open the system menu (the Apple logo in the upper left of the screen) and click About This Mac > Software Update to be sure you’re running MacOS 10.14.4. Then fire up the News app and click on the News+ tab to subscribe — there’s a one-month free trial to check it out — and see the selection of magazines. 2. How can I find magazines to read? When you open the News app, you’ll see the Today tab, which is all of the latest news based on your favorite topics. Most of it is free — just like the News app was originally — but you’ll find a few links to magazines or subscription-only newspapers that will prompt you to pay before you can read. To see a list of magazines, you need to go to the News+ tab. Along the top of the screen there are options to browse the catalog alphabetically or by topic. You can browse by clicking through here or you can search for your favorites — the search box is either at the top of the left-hand column or at the top of the Following tab. 3. How do I follow my favorite magazines? You want to mark your must-read magazines as Favorites so you can easily see when there are new issues. Your Favorites are listed under the Following tab or the Channels & Topics column, and new issues will show up under My Magazines in the News+ tab. Marking a magazine as a favorite takes a few steps. 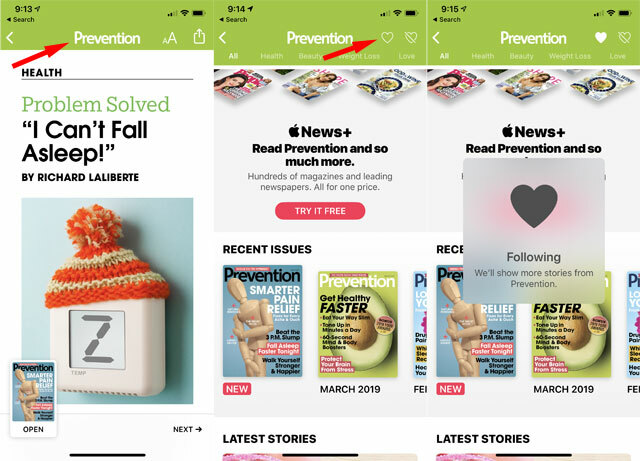 If you found your magazine by browsing, click to open the magazine (or magazine article), then click the name of the magazine at the top of the screen, then click the heart icon to the right of the name. If you found your magazine by searching, just click the heart to the right of the name in the search panel. 4. Where are the newspapers? Even though a News+ subscription includes access to The Wall Street Journal and The Los Angeles Times, their content isn’t always highlighted under the News or News+ tabs. The best way to be sure you see your favorite newspapers is to follow them, just like you would a magazine. When favorited, select articles will be highlighted under the News tab, or you can view the whole newspaper by clicking its name in the Following tab or the Channels & Topics column. 5. How do I save an article to read later? If you come across something you’d like to read or reference later — like a recipe in a cooking magazine — you can save a bookmark to it. It’s a handy feature, but you may not notice it exists unless you really look for it. 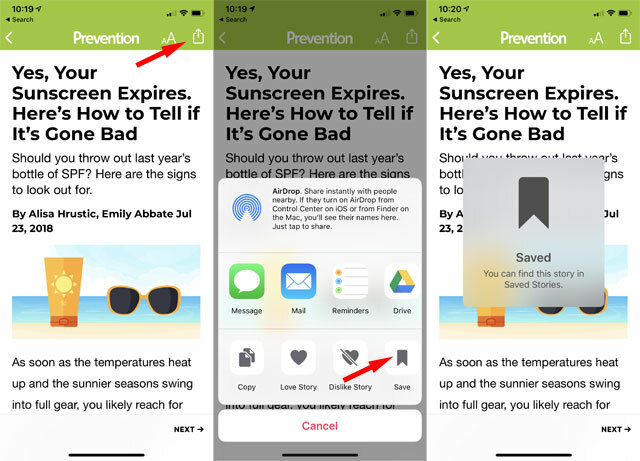 To bookmark an article, open the article, click the share icon in the upper right, and click the Save icon in the lower right. To find your bookmarks, scroll down to the bottom of the Following tab or the Channels & Topics column and click Saved Stories. 6. Why do I keep getting asked to subscribe? News+ includes hundreds of publications, but not all of them. Big newspapers like The New York Times and The Washington Post aren’t part of News+ and will only let you read a few articles per month before asking you to subscribe. If you want to see less of these articles, make sure they aren't on your favorites list — you may still get the occasional recommendation, but it shouldn't show up regularly in your news feed anymore.